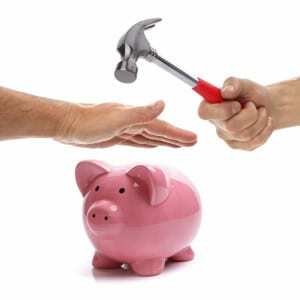 Final Salary Pensions - Should I Stay or Should I Go? Since the recent April 2015 introduction of new pension freedoms and flexibility, we’ve noticed a rise in enquiries from those holding all types of pension schemes seeking greater clarity over what is now on offer. We are not alone. Final salary pension scheme administrators have witnessed a 45% to 50% surge in interest from holders of these schemes looking to perhaps transfer out into a new style personal pension that will allow access to the new freedoms. The new pension rules offer you much greater flexibility over what you can do with your pension pot. Are You ‘Locked Out’ of the Pension Freedoms and Flexibility? Many of the pension freedoms and flexibility that came into force on 6th April 2015 only apply to those with ‘defined contribution’ or ‘money purchase’ pension schemes i.e. ‘pots’ of money. Hence, the new retirement revolution does not apply to those holding ‘final salary’ (also called ‘defined benefit’) pensions – which provide a ‘guaranteed’ income in retirement. That said, holders of private sector final salary pensions do usually have the ability to ‘transfer out’ and access the new freedoms. Despite inherent risks, after careful analysis, there are a dozen reasons a transfer away from a former final salary pension scheme could still potentially be the right thing for you. Read on. – Improved or alternative death benefits – the ability for a spouse, an unmarried partner and /or children (or other beneficiaries) to inherit your entire unspent pension fund free of inheritance tax. – Increased levels of tax free cash – may allow mortgages to be repaid early thus facilitating earlier retirement, change of career etc. – Current pension scheme in deficit (has a ‘black hole’) – so you may be worried you will not get all that is promised to you. – Control – many ex-employees have concerns about their former employers and simply want away and to have more control over their pension. – Greater flexibility when shaping the benefits – most final salary pensions include a spouse’s pension on death – even if you are not married or in civil partnership. If you are single, why pay for benefits you don’t need? – Tax planning – final salary pensions may push you into higher rates of tax. A more flexible pension arrangement can enable you to avoid this. – Income flexibility and phasing – you may want to take higher levels of income initially – for example, until the State or other pensions kick in, then reduce the income from your pension later. – Health – if you’ve had health issues and/ or a regular smoker, then it may be possible to replicate the current pension benefits privately using guaranteed annuity rates and obtain a greater level of guaranteed pension. – Better off (potentially) – if, on balance, you could well be better off and receive more benefits as a result of such a transfer. – Consolidation – where several pensions brought together for control, ease of administration and management. – Enhancement – where the transfer value on offer has been enhanced as an incentive for you to transfer away. – Moving abroad – if you are retiring abroad then alternative flexible pension structures could be worth exploring e.g. QROPS. A full analysis of your personal finances, financial objectives, family circumstances and the pension scheme itself are required before any informed decision can be made. Expect to pay a fee for this professional service. Final salary pension schemes usually provide benefits for dependants, such as a wife, partner or child and the benefits normally have increases in payment too. If you transfer your benefits out, then these benefits (backed by your former employer) could be lost or reduced. I’ve often heard of final salary pensions referred to as “frozen”. The correct terminology is that they are “deferred pensions” – as there will be some inflation-proofing or other increases from the date you left the scheme. The size of many occupational pension final salary and money purchase pension pots can run to six or even seven figure sums. Often, the pension pot is worth more than the family home and other assets combined. Great care is required. Because of this only certain authorised and regulated individuals with the appropriate qualifications can advise in this complex area. Not all advice firms have the permissions. Many advisers are now scrambling to pass the necessary exams. Few pension schemes will permit a transfer without expert advice being sought first. Wishart Wealth Management Ltd is well placed to advise. We have the experience and hold the necessary permissions from the UK regulator – the FCA. Iain Wishart is our pension transfer specialist, holding not one but two degree-equivalent pension qualifications. Iain Wishart has been actively advising in this area since 1991. There have been several pension liberation scams where investors have lost all their pension money. You can read further information about this in a leaflet from ActionFraud and the cross-government initiative on pension scams, available here. Hence, it is essential to seek professional advice from an FCA authorised and regulated pension transfer specialist like Wishart Wealth Management. Now or Never for Your Retirement Funds? Low UK gilt rates used to calculate your pension transfer value have increased many transfer values to relatively ‘high’ levels (over what we have seen quoted historically). Mind you, it should be noted that those same low gilt rates can mean the annuity rates available from personal pension pots have also come down. Taking any of your pension benefits early is likely to reduce your income at retirement. Therefore, pension transfers away from final salary pension schemes are not for everyone. This is because a pension is designed to provide you with benefits when you retire. Always seek specialist independent financial advice, which we offer. If you want to know more or have a question, or just want to chat through some details about your pension then please feel free to contact us, without obligation. Our contact number is 0131 226 2012 or you can contact us online. The information in this article does not constitute financial or other professional advice.